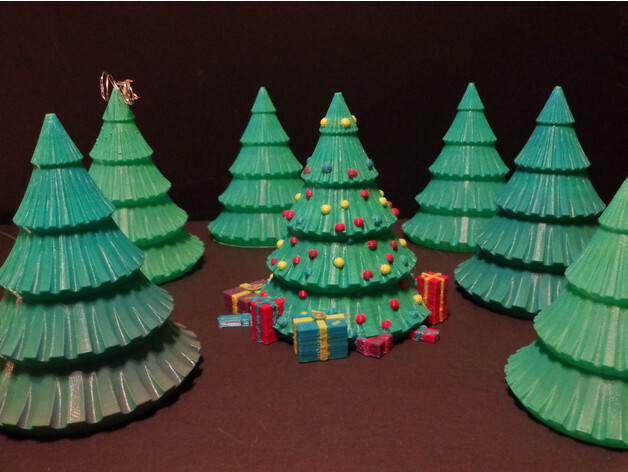 Multi-part Christmas Tree #3DPrinting #3DThursday « Adafruit Industries – Makers, hackers, artists, designers and engineers! gallaghersart shared this project on Thingiverse! **Edit update Dec 11th 2018 – Little goof, forgot to upload all the files to print different configs. And I found a small error that did not stop slicing or printing (gifts ribbons overlapped tree by a few mm. Version 30 has little over lap but less modes, version 34 has everything separated for you color mixing needs.